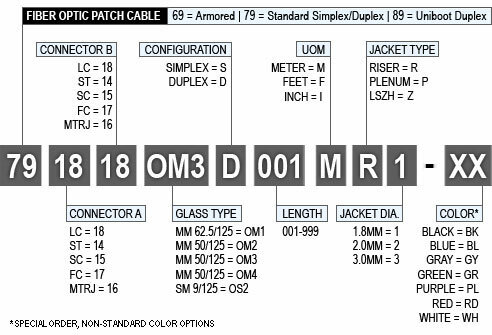 If you enjoy the high performance and low-cost that an ST-SC fiber optic cable provides for your ethernet and other telecommunications connections, but require a little more distance and bandwidth, then the LightWave ST-SC Multimode OM3 Fiber Optic Patch Cable is just what you are looking for. This multimode cable, in duplex configuration, allows you to send large amounts of data over a 50/125 micron glass fiber 1Gbps link a distance of up to 1000 meters at a wavelength of 850nm or a distance of up to 550 meters at a wavelength of 1300nm. 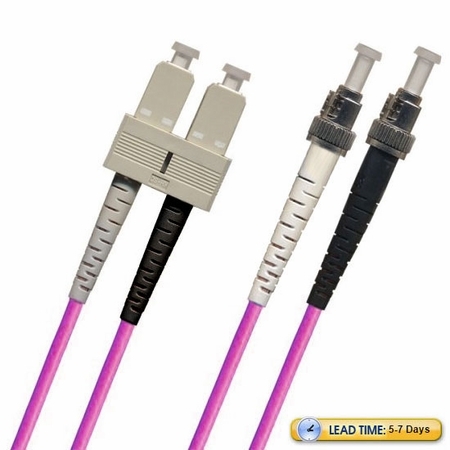 For a 10Gbps link, you can transfer data a distance of up to 300 meters at an 850nm wavelength. 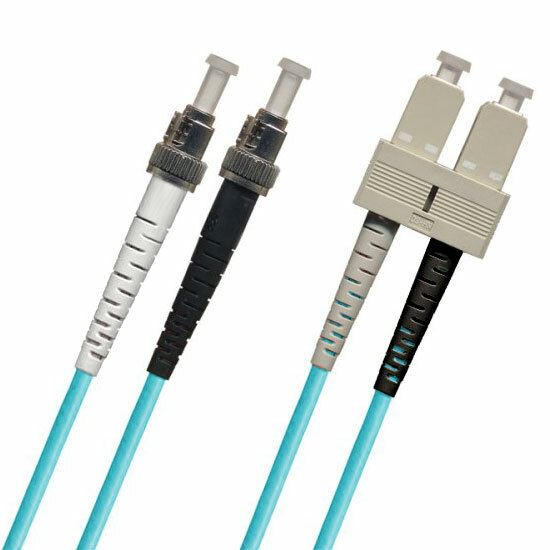 The ST fiber optic connector has been popular for many years due to its reliablility, and the SC connector is widely regarded for its excellent performance, so you get the best of both worlds in one cable.